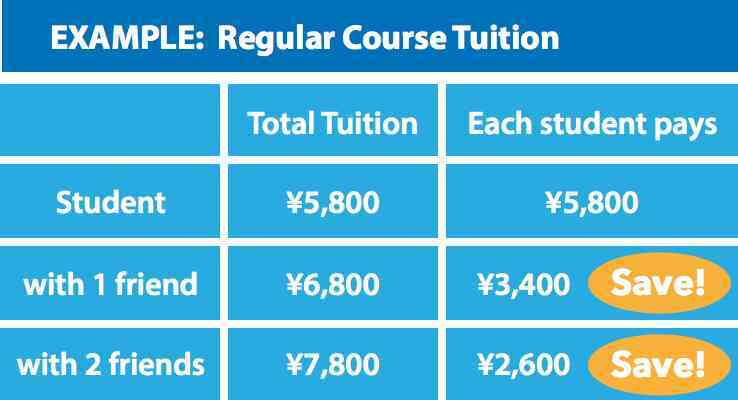 and each additional student pays just ¥1,000 per lesson. Split the total tuition among yourselves and each person saves 35–50% or more! 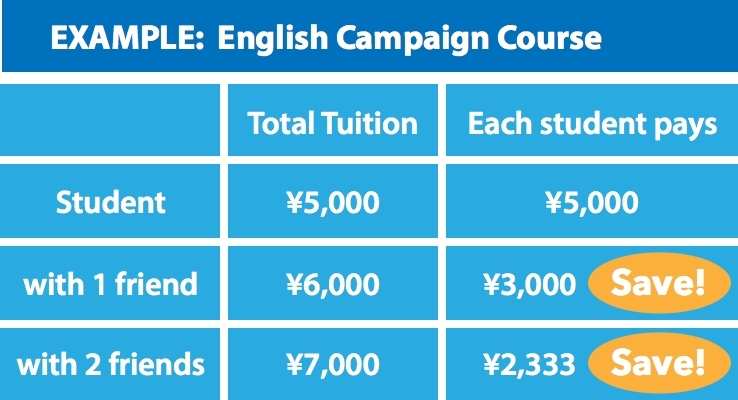 including our specially priced campaign courses. QUESTIONS? Call us now at (03) 3700-8110.